"The country still has a long way to go before it is completely rid of poverty," Mukherjee said. New Delhi: India needs leaders who can help meet ever-increasing rising expectations of people and “quixotic heroism” cannot lead this nation, former president Pranab Mukherjee said. “Quixotic heroism cannot lead this nation. India needs leaders who can help them meet the nation’s ever rising expectations. The country still has a long way to go before it is completely rid of poverty,” Mukherjee said while addressing corporates at AIMA Managing India Awards. He also expressed concern over the estimate that 1 per cent of Indians hold over 60 per cent of the country’s total wealth and called on corporates to help bring people out of poverty. “The situation become all the worrisome if one looks at figure that more than 60 per cent wealth is held by just 1 per cent India’s population. While such figure are definite burden on our national conscience, they also indicate that our growth needs to more inclusive then equitable. The one who are left behind drag others in the developmental narratives,” Mukherjee said. According to the IMF, India is the world’s seventh largest economy of USD 2.69 trillion size. According to a UN report, India’s GDP growth is expected to accelerate to 7.6 per cent in 2019-20 from estimated 7.4 per cent in the fiscal ending March 2019, he said. “Over 270 million have moved out of poverty line in the decade since 2005-06 and the poverty rate in this country nearly halved over the previous period. This is a positive side. 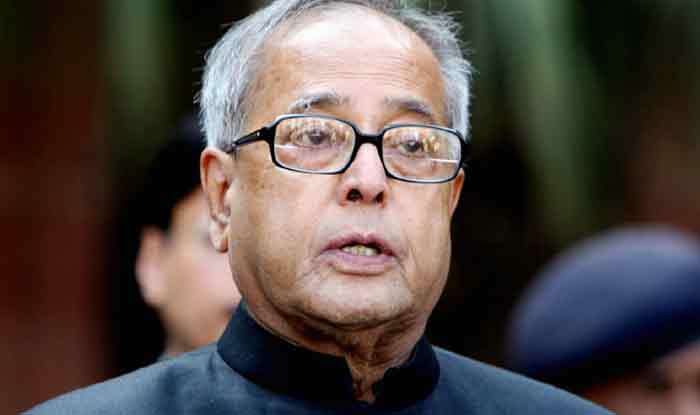 There is significant 269 million people who live below poverty line,” Mukherjee said. He said that profits that seek to create wealth for only individual ultimately end up creating vast inequalities and such a situation leads to production becoming untenable. Mukherjee called upon business leaders and decision makers to orient themselves to large set of social goals of not only for personal benefits but also employment generation, creation of social wealth and more opportunity for the economic growth of the largest number of persons. He called for corporates to come forward for development of the country’s human capital. “The demographic dividend needs to be leverage which can only happen when their qualitative development of the education sector in the country. In addition to this we need to enhance quality of skill development. Not many of the IITs/IIMs alumni are passing on their knowledge and skill to next generation or even creating new knowledge through research. That needs to be changed,” he said.